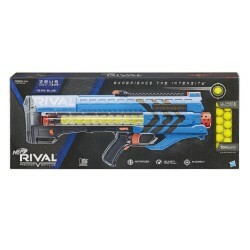 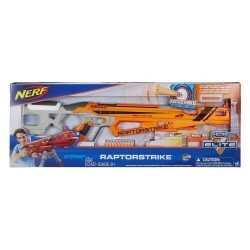 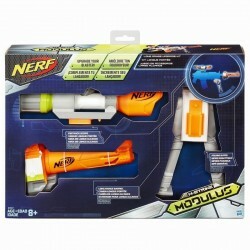 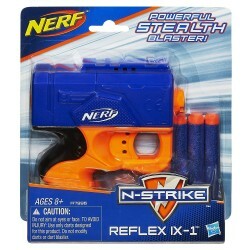 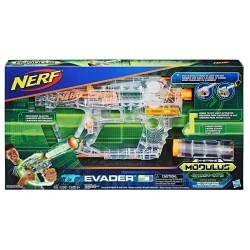 Kids can build their blaster for any mission or battle with the Nerf Modulus ECS-10 blaster. 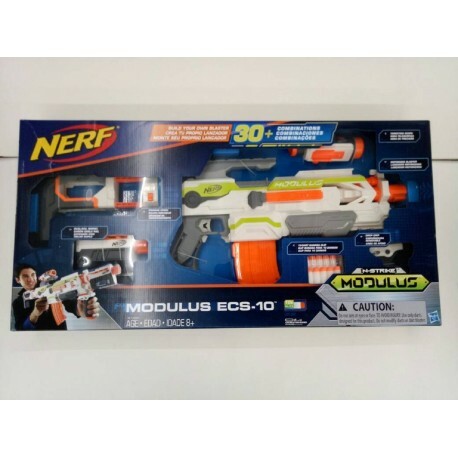 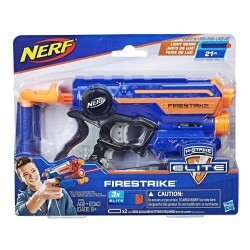 This motorized blaster includes a removable targeting scope, drop grip, dual-rail barrel, and storage stock, so kids can customize the blaster in more than 30 combinations. 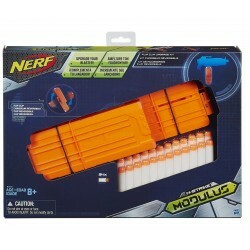 Load up the blaster s 10-dart banana clip with the included Modulus Elite darts, and hit the battlefield in whatever configuration will launch battlers toward victory. 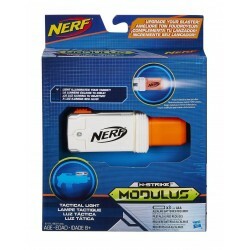 Expand the customizing options with Nerf Modulus accessories and upgrade kits (each sold separately). 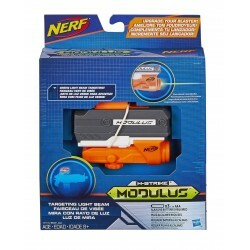 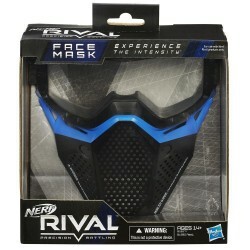 With the full Nerf Modulus system, create over 1000 different combinations!